Argentina, Australia, Austria, Britain, Bulgaria, Dominican Republic, Ecuador, Finland, France, Germany, Japan, Jordan, Kazakhstan, Kyrgyzstan, Mexico, Morocco, Poland, Spain, Sweden, Tunisia, Turkmenistan, Turkey, USA, and Uzbekistan. “Care of Mother and Child.” Health of Mankind. London: Churchill, 1967. “Child labour: an overview.” Child Labour: A Threat to Health and Development. (Iketsetseng Series on the Health and Welfare of Children, No. 1). Geneva: Defence for Children, 1981, 1985. “Ethical considerations in the advancement of medical science and technology as reflected in research in pediatrics". Medical Science and the Advancement of World Health. New York: Praeger, 1985. “Metabolic disorders,” “The Abdomen and the gastrointestinal tract,” “The genito-urinary system.” Pediatrics. Boston: Little, Brown and Co., 1969, 1975, 1984, 1990. “Porphyrias and porphyrin metabolism.” Advances in Pediatrics. Vol. XIII. Chicago: Year Book Medical Publishers, 1964. “Probleme von auslaendischer Arbeitnehmer.” Die Kinder auslaendischer Arbeitnehmer (Fortschritte der Sozialpediatrie). Vol 5. Munich, Vienna, Baltimore: Urban und Schwarzenberg, 1980. Günümüzde Rektör Seçimi ve Atama Krizi: Türkiye’de ve Dünyada Yükseköğretim Yönetimine Bir Bakış (Contemporary Rector Selection and Appointment Crisis: A Glance at Governance in Higher Education in Turkey and the World). Ankara: Meteksan A.Ş., 2000. Prematüre Bebek Bakımı. (Premature Baby Care). Ankara: Örnek Matbaası, 1954. 1958 Established Hacettepe Institute of Child Health and Children’s Hospital. 1961 Established first School of Nursing at university level in Turkey. 1961 Established first School of Physiotherapy and Rehabilitation in Turkey. 1962 Established first School of Dietetics and Nutrition in Turkey. 1963 Established Hacettepe Faculty of Medicine and Health Sciences, Ankara, introducing an integrated teaching system in medicine. 1963	Contributed to establishment of Atatürk University Faculty of Medicine in Erzurum. 1967 Established Hacettepe University in Ankara. 1973	Contributed to establishment of Karadeniz University Trabzon Faculty of Medicine in Trabzon. 1981-1992	In his capacity as President of the Council of Higher Education of Turkey, contributed to establishment of Erciyes University in Kayseri, Ondokuz Mayis University in Samsun, Cumhuriyet University in Sivas, and Anadolu University in Eskisehir. 1984 Established Bilkent University in Ankara, the first foundation university in the country, with the intention of making it a centre of excellence. 2000 Outstanding Intellectuals of the 21st Century, Dictionary of International Biography, International Medical Who’s Who, International Scholar’s Directory, International Who’s Who of Intellectuals, Men of Achievement, Minerva, The International Who’s Who, Two Thousand Men of Achievement, Who’s Who in Europe, Who’s Who in Medicine and Healthcare, Who’s Who in the Middle East and North Africa, Who’s Who in the World. Akman, Muvaffak. Yaşantımda Hacettepe ve Sonrası: Bir Emekli Rektörün Anıları (My Life at Hacettepe and Beyond: Memories of a Retired Rector). Yalova: Emek Ofset, 1995. Reprinted Ankara: Meteksan A.Ş., 1997. Okyay, Erdoğan, ed. İhsan Doğramacı ve Çağdaş Universite (İhsan Doğramacı and the Modern University). Ankara: Sevda Cenap And Müzik Vakfı Yayınları, 2006. Revised ed. 2007. Özsoylu, Şinasi. İhsan Doğramacı ile 40 Yıl (40 Years with İhsan Doğramacı). Ankara: Özkan Matbaacılık, 1995. Türmen, Tomris and Jane G. Schaller, comp. Children in His Heart, Youth on His Mind: Tributes to İhsan Doğramacı in Honour of His Sixty-Five Years of Service to Child Health and Education. York: Wilton 65, 2003. Yurdakök, Murat and Gülsev Kale, ed. Hocabey ile Anılar (Memories with “Hocabey”). Ankara: Alp Ofset Matbaacılık, nd. In addition to Turkish, his mother tongue, Arabic, English, French, German and Persian. 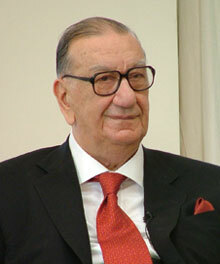 Born in Erbil, April 3, 1915. * Download the latest Adobe Flash Player, available at the Adobe Flash Player Download Center.